Prints Abound: Paris in the 1890s, National Gallery of Art, Washington, 2000-2001, no. 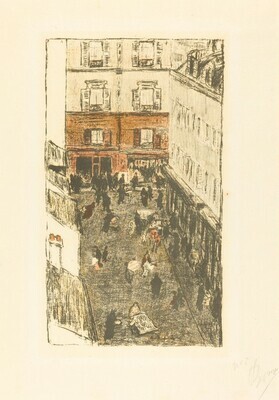 67a, as Coin de rue d'en haut (Street Corner Seen from Above), from Quelques Aspects de la vie de Paris. Prints Abound: Paris in the 1890s. Exh. cat. National Gallery of Art, Washington, 2000-2001: no. 67a.